Chief Magistrate Ann McLennan appeared puzzled today, March 8, that a reportedly forged $26.3M manager’s cheque did not see Republic Bank Guyana Limited being part of a fraud investigation involving a city businessman. Chairman of Micro Business Developers and Consultancy Incorporated, Clayton Alleyne, plead not guilty before the Chief Magistrate to a charge that between December 2, 2016, and December 13, 2016, he obtained six motor cars using a forged $26.3million Republic Bank Guyana manager’s cheque. Alleyne, 56 years, of Better Hope, East Coast Demerara, according to his lawyer, Paul Fung-A-Fat, entered into an agreement with Fantasy Auto Sales for the purchase of six motor vehicles. Fung-A-Fat, speaking for his client, told the court that the cheque was issued by the secretary of his client’s company. When the cheque bounced, Alleyne reportedly returned the 6 vehicles to the car dealership, and some $645,000 was paid as compensation to the owner of the dealership. Fung-A-Fat, in his bail application for his client, was prepared to offer his client’s passport to the court. However, his client informed that he does not have a passport. The attorney further attempted to assure the court that his client would return after he offered the transport for his client’s house, but his client informed the court that he does not have a transport. Police prosecutor Deniro Jones told the court that Alleyne entered into the agreement with the Virtual Complainant (VC), to purchase six motor cars. The bank cheque was submitted but revealed to be forged when the VC attempted to cash it. Jones told the court only three of the six motor cars were returned to the auto dealership, and that the investigation was incomplete. It was then that Chief Magistrate Ann McLennan asked if the Bank was being investigated, to which the prosecutor responded in the negative. The chief magistrate submitted that in the case of a forged bank manager’s cheque, the Bank should form part of the investigation. Fung-A-Fat then told the court that his client’s company only received three cars, and that the other three cars were given to three individuals. It was unclear how this arrangement transpired. 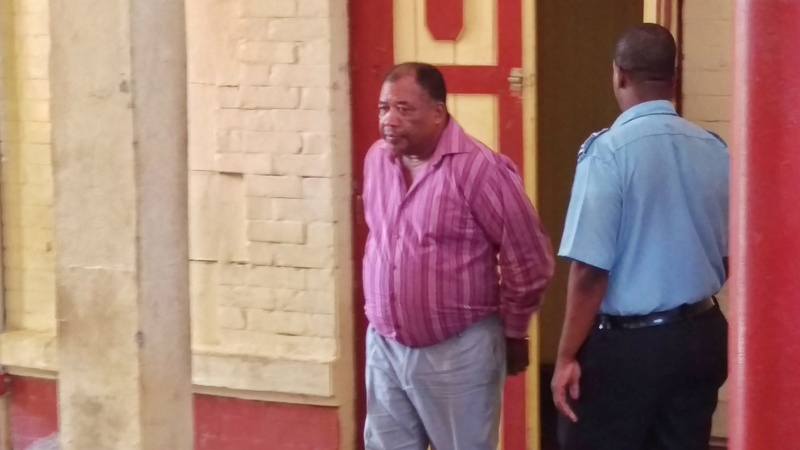 Chief Magistrate Ann McLennan placed Alleyne on $400,000 bail. His matter will come up again on March 27, but he was ordered to report to the Fraud Squad on a weekly basis.